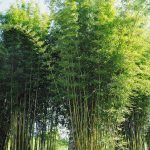 In addition to its beautiful and exotic appearance, all of our Bamboo is non-invasive, cold-hearty and requires little to no maintenance once established. 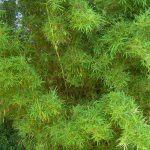 Graceful Bamboo - Graceful Bamboo This bamboo is our top seller. It can reach up to 30 feet and is perfect for blocking high areas. An excellent choice for privacy. Dwarf Buddha Belly Bamboo - Dwarf Buddha Belly Bamboo This is one of the most unique bamboos in the world. It is known for its bulbous canes. 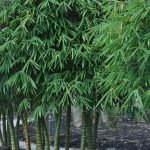 Golden Goddess Bamboo - With and average height of 10 feet, this bamboo’s canes are thin and densely packed, making it a perfect choice for hedges that can be trimmed for desired effect. 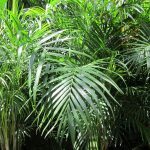 Areca Palm - This fast-growing and thick palm can be used as a privacy barrier or a focal point in a garden.